1998 Toho film Mothra 3: Attack of King Ghidorah. This was the final film in the late-'90s Mothra trilogy. 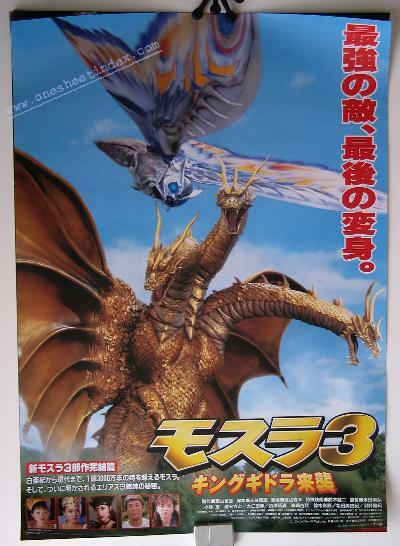 Poster features armored Mothra battling Ghidorah.